Most professional lighting installations range between $120 and $500 for labor alone. You can hire an individual by the hour at a rate between $60 and $100. 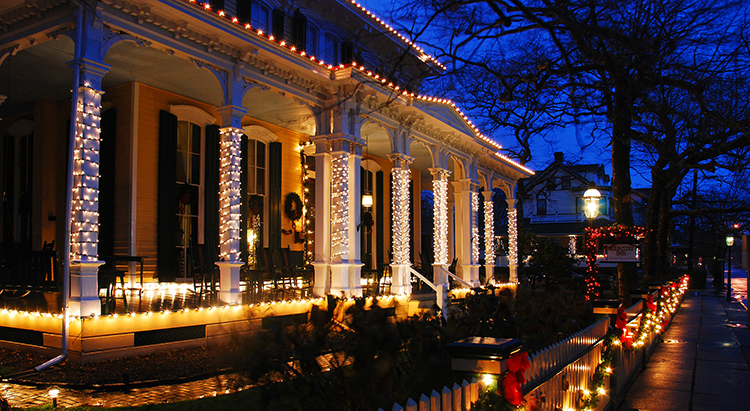 Larger companies that bring their own lights offer packages that cost between $300 and $1,200 and include the strands, installation, and takedown. Experts typically charge between $1.25 and $3.00 per linear foot. That includes all aspects of the installation, but not the lights themselves. If you don’t own your own holiday lighting, add another $0.50 to $2.00 per foot to that cost depending on the type of bulb you purchase. Clarify whether the per-foot quote includes takedown after the season. If you need to install new electrical wires for the lights, hire an electrician for $50 to $100 per hour. Most installation pros won’t install outlets or ground outdoor wires. They do provide extension cords and stakes to keep lighting in place. On average, Christmas lights cost between $80 and $300. That’s based on a price of $4 to $30 per strand. Most strands feature 100 to 200 bulbs. Expect to use 10 to 20 strands to cover an average-sized home between 1,000 and 2,000 square feet. If you don’t want to buy the entire holiday lighting set, you can rent lights from your installer for a package price of $200 and $550 including installation. In this scenario, the expert will install their own set, and take them back down after the season is complete. Renting Christmas lights costs more than installation alone, but less than purchasing the lighting set. That makes sense if you want to try out professional installation once. Beyond that, it can get expensive because you must pay for the lights every year. As an added benefit, you don’t have to worry about storage in the off season.